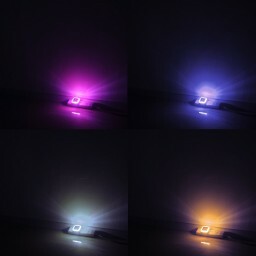 The soft glow of the light helps you find your way at night or in darkness. [Low Cost] Save Money, Save power. Reusable and durable. 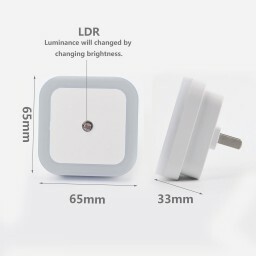 Ultra-low power consumption- With 4 super bright energy efficient white LEDs, no bulbs replacement, only 2.2 Kwh per year. 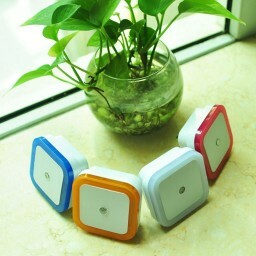 [Fully Automatic] Built-in smart on/off light sensor, It turns on automatically when the environment become dark, and it turns off automatically when environment become bright. No switch needed. [Safe US Standard Plug] 110-220V AC input. No batteries, no heat, stay cool to touch. Perfect use for bedroom, Bathrooms, baby's rooms, Basement, Hallway, Laundry Room, Wardrobe, Kitchen, Stairwells, etc. 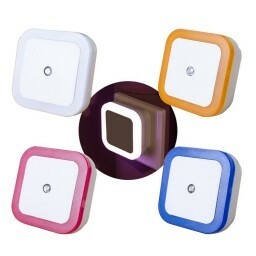 [Pack of 4] Comes in pack of 4 in various colors of orange, blue, pink and white. Plug them in anywhere you like.